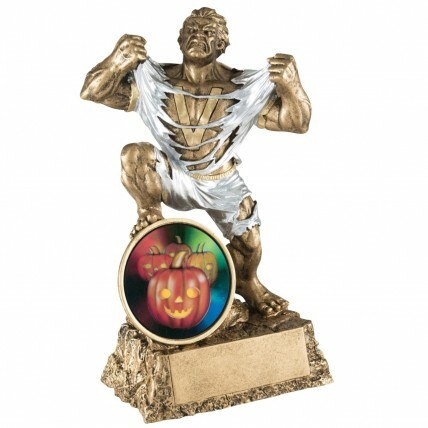 Everyone at your next Halloween party will want to bring home one of our Monster Halloween Awards for best costume! Measuring 6.75 inches tall, this hulking beast is ripping off his shirt to show off his victory "V" chest, while standing on a Halloween jack-o-lantern. Your 3 lines of personalized engraving on the base is free!